This accredited executive coaching and mentoring qualification is designed for those who are regularly coaching or mentoring at a senior level, and who wish to accredit, validate and enhance their skills with an internationally-recognised executive coaching qualification. The ILM 5 accredited coaching and mentoring qualification is designed for all tiers of director, management and supervisory level, or indeed anyone involved in people development. We also offer the ILM Level 5 programme as an online course for added flexibility. Our one-to-one executive coaching sessions are designed to fit around you and your workplace commitments. These sessions usually take place at your premises or over the phone, which minimises the amount of time that you need to take out of your busy schedule. A unique offering very much tailored to you. Not only do we assist you to become an accredited business coach with an ILM accredited coaching and mentoring qualification, but we also help you to create and establish your own coaching business/practice. As a business coaching organisation, one of the questions we most frequently get asked is: 'what is business coaching?' It's a fair question to ask as the term itself is a little nondescript. It's a bit like saying "I'm a business consultant". Ultimately, you're still no wiser as to what they actually do! Business coaching focuses on the individual to accelerate success through a bespoke 1 to 1 business conversation. It is based initially in the present, moving then to the future, dealing with your current business challenges and taking action to overcome them. The coaching processis time efficient and cost effective, focusing solely on you. Our 1-to-1 business coaching and executive coaching sessions allow you to achieve more in less time, when there isn't a training room full participants vying for attention. Through a 1 to 1 coaching relationship; you'll be focused on overcoming your business challenge with high commitment. Business coaching is not training. A training course normally involves a group of delegates, and is usually a one off event or part of an on-going programme. Business and executive coaching is 1 to 1 and you can have as many sessions as you need. Business coaching is not therapy, even though it's very therapeutic knowing that you're tackling your business challenges head on by taking action. Business coaching is not a fad. You may have the first couple of sessions close together, but the relationship can go on for as long as YOU are getting a benefit from it. Your business coach is there to help you achieve what you need, want, and have to. Business coaching is not intrusive. You and your business coach may discuss a variety of topics ranging from performance, motivation, work relationships and more. They will also challenge you to be as open and honest as possible, but they will not tread on the values and beliefs that you hold dear. We run our most popular ILM coaching qualifications, as well as our own business coaching certificate and diploma qualifications, as open courses at venues across the UK. Please use the links below to find out more information about each one, including scheduled dates and prices. All of our solutions are designed around the clients' specific requirements; never losing focus on what the programme needs to achieve. By using our huge wealth of knowledge and expertise within the coaching, mentoring, learning & development and business arenas, we can build you a unique and ground-breaking programme that is guaranteed to gain the desired results and sustain long-term performance. If you would like to provide your managers and team leaders with an in-house course, we can provide coaching or indeed any of our courses on an in-house basis at your premises or alternative location. The purpose of executive coaching sessions, as it is with business coaching, is to develop the individual to achieve their full potential. Not only is it ideal for managers and employees, but an increasing number of business owners see the value in utilising the services of a professional business coach. 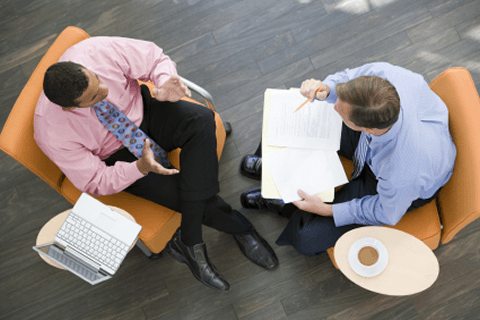 One-to-one executive coaching sessions are designed to fit around you and your work commitments. These short sessions usually take place at your premises or over the phone, which minimises the amount of time spent away from your day-to-day duties. Executive coaching is becoming increasingly popular amongst today's dynamic business leaders. To find out more about it, please click the button below. We can design a business coaching and mentoring programme around your exact requirements. Contact us to find out more! There are numerous definitions and answers to the question of "what is business coaching?" Put simply, business coaching is a mechanism/technique of transitioning an employee, manager or executive from their present state to their desired state. Read more at the page: "What is Business Coaching?" How will coaching improve employee flexibility? By improving employee morale through open discussions and positive action to tackle issues, business coaching will have a significant effect on the overall happiness of employees. Happier employees will typically be more accommodating when asked to cover other job roles, will volunteer up new ideas, and generally work harder towards the overall success of the company. Read more at the page: "Can Business Coaching Increase Employee Flexibility?" Can coaching help me in my career? Absolutely. There will be those who wish to become a business coach and mentor, for whom gaining experience of business coaching sessions and a qualification like an ILM 5 or 7 Certificate will be vital. For those who don't wish to become coaches, business coaching sessions will help them to overcome barriers that are causing problems and holding them back from fulfilling their potential. Read more at the page: "Career Development, Business Coaching and Training"
Why are regular reviews necessary? Unlike training courses which are typically one-off events, business coaching is a process. As the individual progresses on their journey of making changes, regular review sessions are essential to evaluate success, make adjustments to the plan, and to identify additional areas which may need to be worked on. The review sessions also help the person being coached to sustain progress and not revert back into old ways and habits. Read more at the page: "Business Coaching Reviews for Sustained Performance"
At the BCF Group, all of our business coaching, executive coaching and mentoring programmes are designed to bring truly effective results to our clients. An efficient, well-trained, motivated and collaborative workforce communicates well, pushes forward ideas, looks for innovation and will go the extra mile. We pride ourselves on being innovative and pioneering when it comes to business coaching, management development and our other areas of L&D expertise. Every programme that we at the BCF Group have ever designed and delivered has been created in order to generate success and progression for you or your employees.